We are pleased to announce the International Workshop on Social Personalisation & Search co-located with the 38th Annual ACM SIGIR Conference, 9–13 Aug 2015, Santiago, Chile. Camera ready papers Monday, July 13th 2015. For the Social Personalization & Search workshop, we invite to participate researchers working in the fields of Information Retrieval, Personalization, User Modeling, and Recommender Systems where the social dimension plays a fundamental role. The workshop is examining several approaches that leverage the social side of the search process on two main contexts: (a) using social data for improving search and recommendations, and (b) search as a social process, collaborative IR. On the first context, we expect to attract contributions that use the social dimension in different methods for personalization and search, such as data from online social networks, social tagging systems, online forums and community-based Q&A. This topic is important because it involves leveraging new sources of information that are specific to social systems such as shared items and tags, user public profiles, online and offline social connections, and logs of user social activities in order to improve people's information access in a wide variety of tasks and devices. On the second context, the social dimension is emphasized as collaboration, so we aim to discuss works that consider information seeking as a collaborative activity. Here, researches can potentially use explicit social communication information (such as online, offline chat) to boost the personalized search experience for each user, or in a community-wise sense, support the common goal of users working on the same search tasks, such as people planning a group trip. The goal of this workshop is to share and discuss research that goes hopefully beyond classic personalization techniques, trying to capitalize potentially useful information available in social data for paving the way to more efficient personalized information access technologies. In addition to personalization, we also consider social search and navigation as topics that involve the importance of the social dimension on filtering and information access. The proceedings are available at http://ceur-ws.org/Vol-1421/. Wisdom of Crowds or Wisdom of a Few? In this keynote we give an introduction to wisdom of crowds in the Web, the long tail of web content, and the bias involved in the generation of user generated content (UGC). This bias creates the wisdom of ad hoc crowds or the wisdom of a few. Although it is well known that user activity in most settings follows a power law, that is, few people do a lot, while most do nothing, there are few studies that characterize well this activity. In a recent analysis of social network data we corroborated that a small percentage of the active users (passive users are the majority) represent at least the 50% of the UGC. As a sub-product, we also found a lower bound for the digital desert, the content in the Web that nobody reads. These results implies that most of the wisdom comes from a few users, which is not that surprising, as the Web is a reflection of our own society, where economical or political power also is in the hands of minorities. User and behavioral modeling plays a critical role in a variety of online services such as web search, advertising, e-commerce, and news recommendation. For example, our ability to accurately interpret the intent of a web search can be informed by knowledge of the web pages a searcher was viewing when initiating the search or recent actions of the searcher such as queries issued, results clicked, and pages viewed. In this talk, I will describe a recent framework for personalized search which improves the quality of search results by enabling a representation of a broad variety of context including the searcher's long-term interests, recent activity, current focus, and other user characteristics. Then, I will review a variety of related work that extends these approaches from signals focused on the individual to social signals such as likes, cohorts, and affiliation networks. Finally, I'll speculate on how social signals and networks can provide directions for relatively unexplored directions in social personalized retrieval. * Updated to fit with SIGIR coffee and lunch breaks. Submission category: innovative research ideas, preliminary results, system prototypes or industry showcases. Link or demo in attachment are preferred. All papers will be peer-reviewed, must not be under review in any other conference, workshop or journal (at the time of submission), and must contain novel contributions. Accepted papers will be published according to the ACM SIGIR 2015 WS publication rules. All dates and times are given in CLST time (UTC/GMT -4 hours). Deadlines are at 23:59 on the specified date. 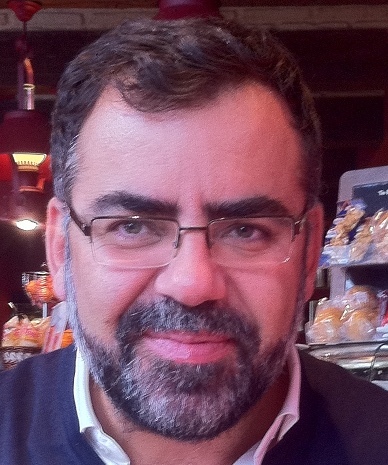 Ricardo Baeza-Yates is VP of Research for Yahoo Labs leading teams in United States, Europe and Latin America since 2006 and based in Sunnyvale, California, since August 2014. During this time he has lead the labs in Barcelona and Santiago de Chile. Between 2008 and 2012 he also oversaw the Haifa lab. He is also part time Professor at the Dept. of Information and Communication Technologies of the Universitat Pompeu Fabra, in Barcelona, Spain. During 2005 he was an ICREA research professor at the same university. Until 2004 he was Professor and before founder and Director of the Center for Web Research at the Dept. of Computing Science of the University of Chile (in leave of absence until today). He obtained a Ph.D. in CS from the University of Waterloo, Canada, in 1989. Before he obtained two masters (M.Sc. CS & M.Eng. EE) and the electronics engineer degree from the University of Chile in Santiago. He is co-author of the best-seller Modern Information Retrieval textbook, published in 1999 by Addison-Wesley with a second enlarged edition in 2011, that won the ASIST 2012 Book of the Year award. He is also co-author of the 2nd edition of the Handbook of Algorithms and Data Structures, Addison-Wesley, 1991; and co-editor of Information Retrieval: Algorithms and Data Structures, Prentice-Hall, 1992, among more than 500 other publications. From 2002 to 2004 he was elected to the board of governors of the IEEE Computer Society and in 2012 he was elected for the ACM Council. He has received the Organization of American States award for young researchers in exact sciences (1993), the Graham Medal for innovation in computing given by the University of Waterloo to distinguished ex-alumni (2007), the CLEI Latin American distinction for contributions to CS in the region (2009), and the National Award of the Chilean Association of Engineers (2010), among other distinctions. In 2003 he was the first computer scientist to be elected to the Chilean Academy of Sciences and since 2010 is a founding member of the Chilean Academy of Engineering. In 2009 he was named ACM Fellow and in 2011 IEEE Fellow. Paul Bennett is a Senior Researcher in the Context, Learning & User Experience for Search (CLUES) group at Microsoft Research where he focuses on the development, improvement, and analysis of machine learning and data mining methods as components of real-world, large-scale adaptive systems. His research has advanced techniques for ensemble methods and the combination of information sources, calibration, consensus methods for noisy supervision labels, active learning and evaluation, supervised classification (with an emphasis on hierarchical classification) and ranking with applications to information retrieval, crowdsourcing, behavioral modeling and analysis, and personalization. His recent work has been recognized with a SIGIR 2012 Best Paper Honorable Mention and a SIGIR 2013 Best Student Paper award. He completed his dissertation on combining text classifiers using reliability indicators in 2006 at Carnegie Mellon where he was advised by Profs. Jaime Carbonell and John Lafferty. SPS 2015 will take place at: Campus “Casa Central” of Pontifical Catholic University of Chile (PUC Chile) and will be held in conjunction with the 38th Annual ACM SIGIR Conference. This campus is located in Av. Alameda 340, in Santiago Downtown, Chile. Further information of this location can be found on the PUC Maps. The Association for Computing Machinery does not issue formal invitation letters for visas to attend ACM sponsored conferences. We can however issue a visa support letter. For Visa support letters, please send all requests to the Office of SIG Services supportletters@acm.org with the following information: Name and mailing address as it appears on your passport. The name of the conference you wish to attend. Your Registration Confirmation Number. If you are the author of any papers accepted for the conference, please provide the title. A valid fax number and current mailing address. Please see the ACM Visa Support Letters web page for updates to this policy. All passengers with passports form Australia, Canada, United States and Mexico must pay a reciprocity tax before entering Interpol control. Further information can be found here.